This entry was posted in Autism, communication, RPM and tagged autistic, change, evolution, going with the flow, human evolution, leadership, leading change, starlings, starlings of Otmoor, typing to communicate, unreliable speaker. Bookmark the permalink. I am fortunate to be able to feed a small part of a murmuration. Equally impressed with the solo song and dance of the skylark over the moors and fields. I love the sassy new photos at the top of the blog and I especially love the starling analogy. Brilliant! 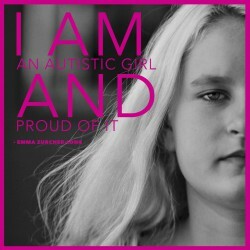 Oh, but Emma, you are. Truly, you are. And we willingly, gratefully follow. Starlings are very pretty, Emma. They have golden flecks in their feathers. The babies are plain grey. I know this because a mother starling fed her babies at our cat food dish last spring. It was very much fun to watch them. I think you will be. Thanks for showing me that beautiful video. Oh Emma, I so LOVE your writing. To me, watching you write is like watching the starlings, I’m in awe. You are leading a new way Emma…I so much appreciate all the young people giving me even more insight on my E.
Emma, thank you for leading me to new ways of looking at things. You give hope and encouragement to this old grandmother who is so lucky to home school my fantastic grandson who will be 12 soon. 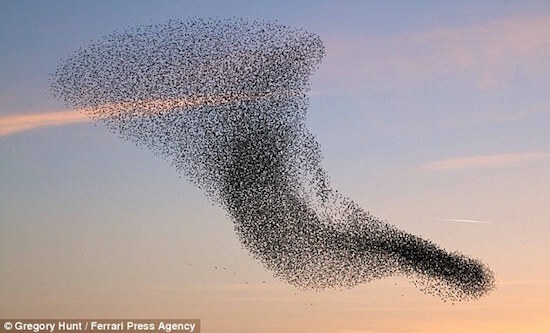 I don’t have the words to express the feelings of wonder and joy while watching that video of the murmuration, especially that everything changes when only a few choose another direction – imagine witnessing it for real! We do have racing pigeons exercising over our home, and the same happens with them, without, of course, those ever-changing patterns of the masses. I often wonder how they know who to follow. It does happen that one or two will take off alone, only to end up swallowing their pride and racing like mad to catch up with the mass that did not follow. But I agree with your idea that lasting change must happen slowly, so slowly that those that resist change do not even realise it is happening. And yes, you already are one of those leaders! You, your mom and your dad.